Planters being cleared out by volunteers. 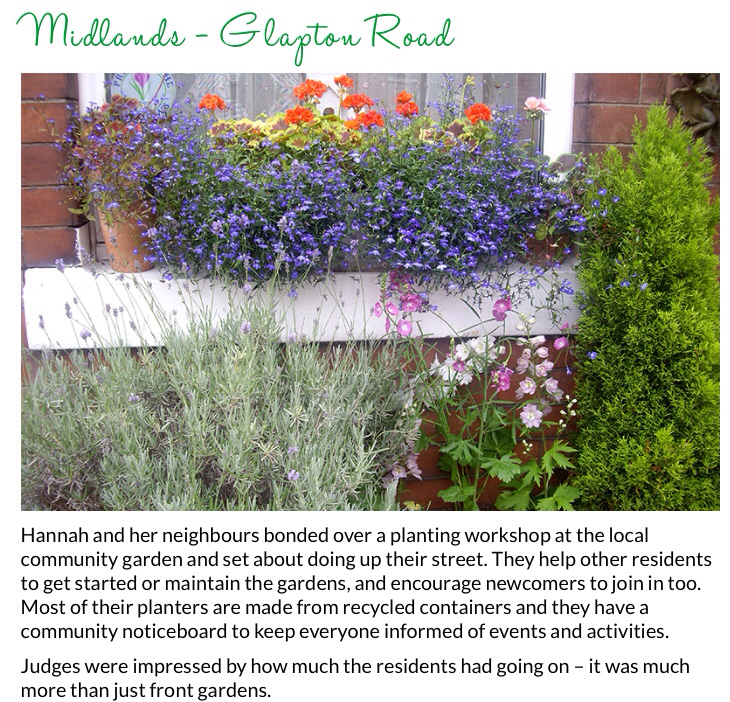 Last year the title went to neighbouring Eckington Terrace, which has been blooming since 1998 and originally inspired Glapton Road to get involved in gardening, too. 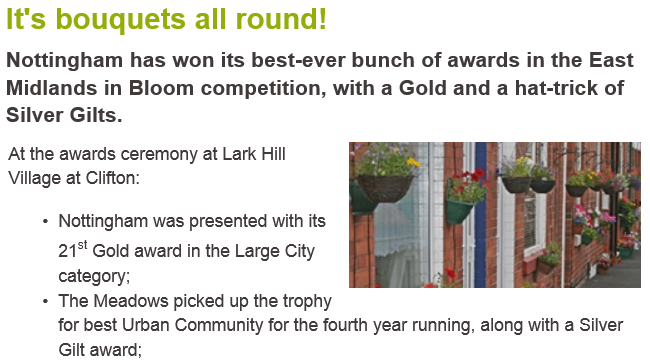 The competition is run by celebrity gardener David Domoney and the Sunday People, supported by the Horticultural Trades Association (HTA). 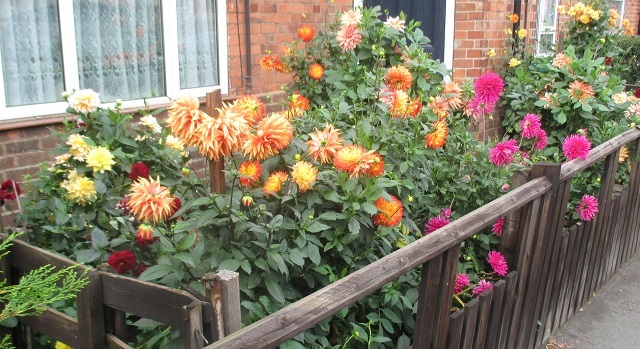 These dahlias from a Fraser Road front garden would not have been considered by the judges, but they would only have helped. Striking, but unfamiliar, many guessing that these giant plants are thistles, invoking Scotland staging the current commonwealth games. 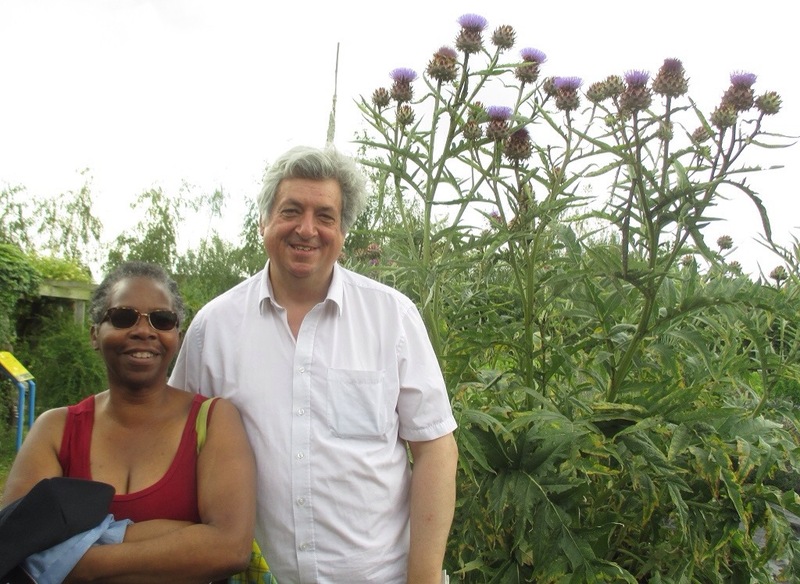 Miss F, local constituent, explained they were artichokes, before telling me how I ought to be doing better on community concerns, including commuters parking on residents streets. Commuters continuing to park, despite local firms providing free park and ride alternatives, and recent increases in damage to local vehicles. P.S. 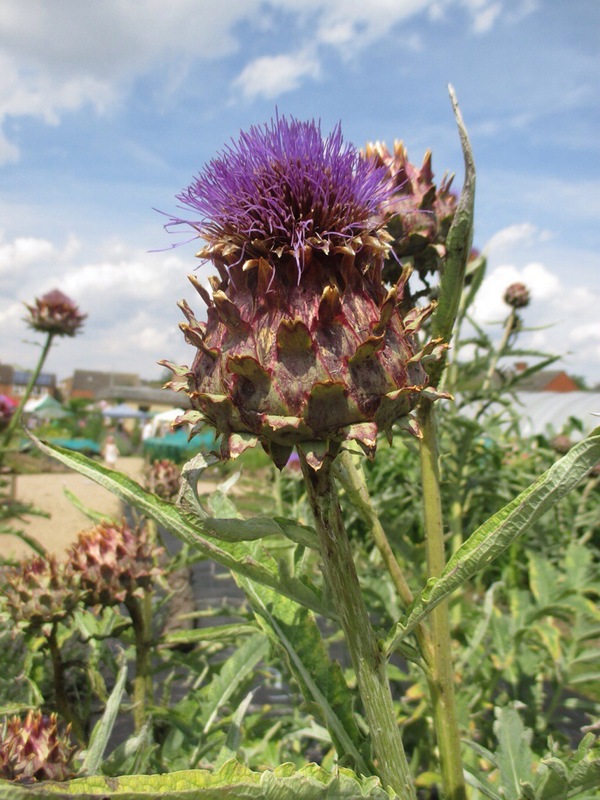 and now it’s been pointed out that artichokes are merely members of the thistle family. 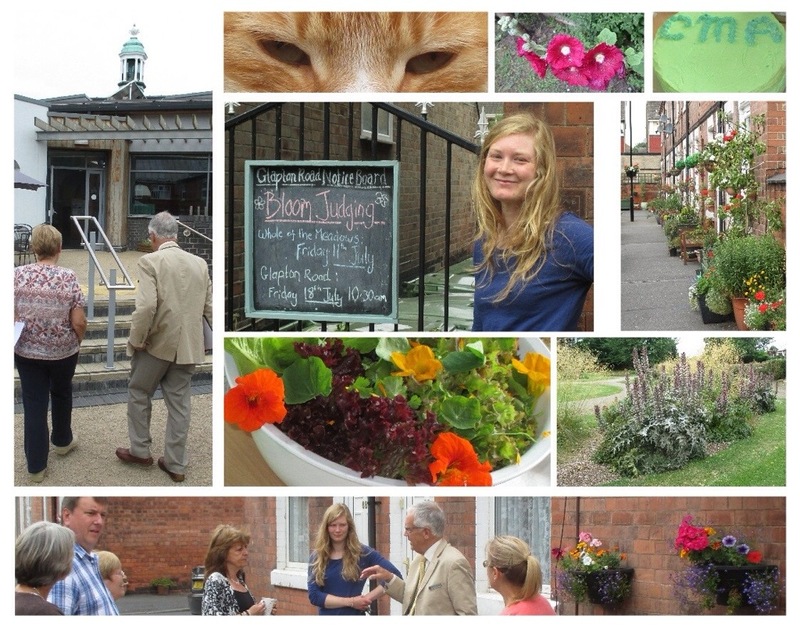 Over 325 visitors, plus volunteers, at the Arkwright Meadows Community Gardens annual summer event. A wonderful place, glorious weather and good food, including Alma’s blueberry and banana cake. 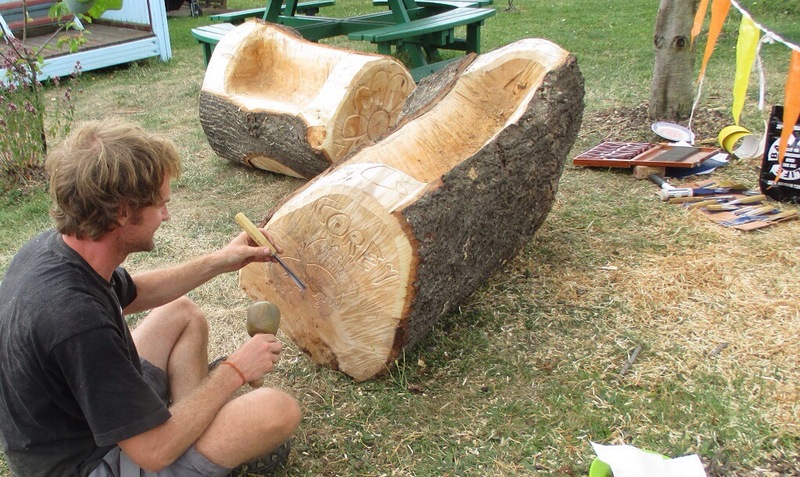 Dan, local artist was present, carving benches from the felled lime trees, to be installed in the gardens. Pleasant presentations, walks, meetings and lunch (nasturtium salad).